NIH-funded TrialNet research is successfully finding ways to preserve insulin production. 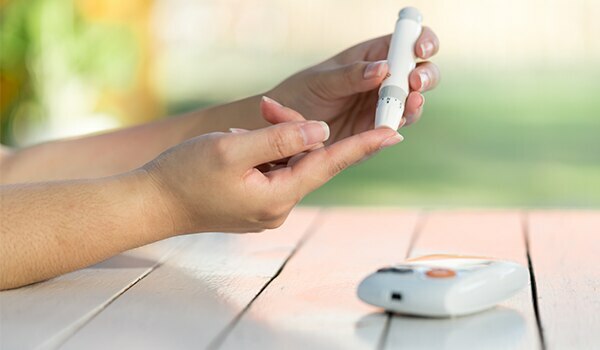 New results from the TrialNet Clinical Research Network (TrialNet) show that low-dose anti-thymocyte globulin (ATG) slowed the decline of insulin production and resulted in better blood glucose control for two years in people newly diagnosed with type 1 diabetes compared to those treated with a placebo. ATG acts to suppress the immune system and is approved by the Food and Drug Administration (FDA) for prevention and treatment of kidney transplant rejection. TrialNet is the largest international clinical trial network ever assembled dedicated to the prevention of type 1 diabetes, and it offers risk screening for relatives of people with type 1 diabetes and innovative clinical prevention studies. In this particular study, researchers explored if ATG alone or in combination with pegylated granulocyte colony stimulating factor (GCSF, Neulasta®), an FDA-approved drug used to increase white blood cell counts in people receiving chemotherapy, could slow insulin loss when started soon after diagnosis. All participants received a single treatment: some received ATG, some received ATG followed by GCSF, and others received a placebo. Two years after treatment, those who received ATG alone had a slower decline in beta cell function and insulin production compared to those receiving placebo. The groups receiving ATG and ATG + GCSF also had better blood glucose control compared to the placebo group. These results confirm continuation of the effects reported 1 year after treatment. The results of this NIH-funded study were published on April 9 in the journal Diabetes. For more information, visit the TrialNet study website.